“I Love You, Daddy,” which was written, directed by and stars C.K. premiered at last year’s Toronto International Film Festival just before a #MeToo scandal involving the actor broke — to say nothing of the film’s content, which saw C.K.’s onscreen 17-year-old daughter (Moretz) have an affair with a famous director in his 60s. To clear up any confusion — “I Love You, Daddy” has no looming release date. In the wake of being accused of sexual misconduct by five women, C.K. purchased back the distribution rights to the film from release company The Orchard (who acquired it in the first place for a reported $5 million). It’s unclear who would release the film in the current Hollywood climate, though C.K. has been a disruptor in the space before — having previously released comedy specials on his own website for $4.99 direct to consumer. 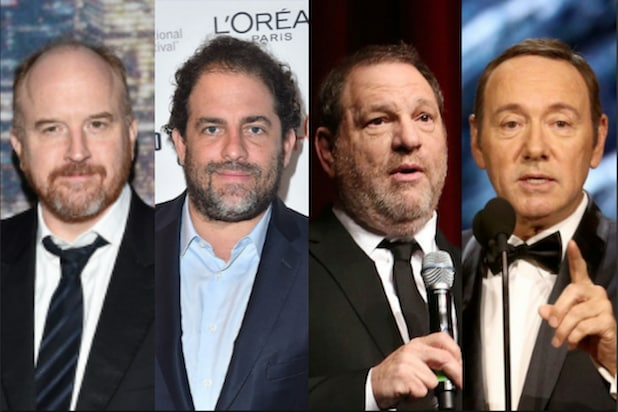 The Orchard pulled their original Nov. 10, 2017, one day after the New York Times published a story in which five women accused the comedian of masturbating in front of them and other acts of sexual misconduct. Negative costs occurred by the company included fees for a brief mailing campaign of awards screeners to AMPAS, SAG, Golden Globes and Critics’ voting members. It’s unknown if C.K. reimbursed the company for those costs as well.